Parents learn the hard way that late bedtimes make for cranky kids the next day. But inconsistent bedtimes may have a greater effect on children’s behavior, a study says. Kids who didn’t go to bed on a regular schedule had more behavior problems at home and at school. When those children were put to bed at the same time each night, their behavior improved. That data came from an ongoing study of 10,230 British schoolchildren. Mothers were asked if their child had a regular bedtime during the school week. That information was collected when the children were ages 3, 5 and 7. The mothers were also asked to complete a standardized test that measures behavior, including conduct problems, hyperactivity, emotional symptoms, problems with peers and positive behavior. 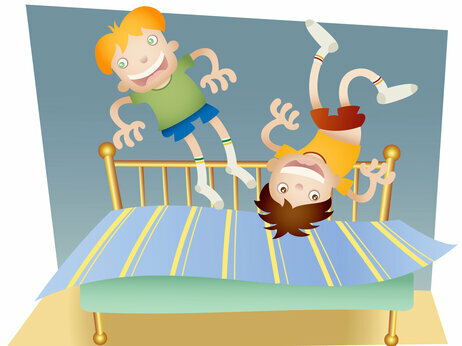 Children who went to bed after 9 p.m. were rated as having more behavior problems than children who went to bed earlier. That’s no surprise; there’s abundant evidence on the effects oflack of sleep on children’s school performance and behavior. But irregular bedtimes actually caused worse behavior than short sleep. Teachers were asked to rate some of the children’s behavior at age 7. They too reported more behavior problems in children with irregular bedtimes. The good news is that the behavior problems improved when children were shifted to a more regular schedule. The scientists call that a “clear dose-response pattern.” And behavior deteriorated in children who had regular bedtimes at age 5 and were on a more random plan by age 7, the parents said. The sleep issues could affect behavior in two ways, according to the researchers at University College London. It could mess up children’s circadian rhythms, which are slow to change. And it could affect maturing brain regions involved in regulation of behavior. Pediatricians should ask about irregular bedtimes, the researchers say, not just how many hours a kid is logging. This study has shortcomings. It doesn’t report how much the children actually slept, but rather how much their mothers said they slept. And it could be that the families with random bedtimes had other problems that affected the child’s behavior. Lack of sleep causes health problems in children and adults, including weight gain and insulin resistance. And regular bedtimes are recommended for adults too, because maintaining a regular circadian rhythm makes it easier to fall asleep and wake up on time. No word if it makes grownups less cranky. But it probably couldn’t hurt.